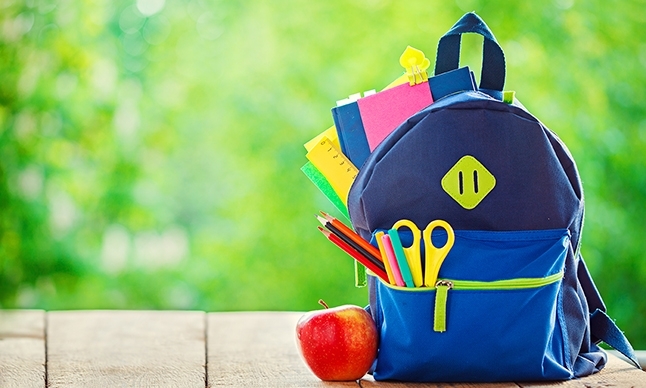 From getting your children on a better sleep schedule to ensuring they get enough exercise, here are a few tips for transitioning to a healthy school year. Start tucking them in earlier at night and waking them up earlier in the morning a few weeks before school begins. Follow screen-time recommendations. Looking at electronic devices before bed can interfere with sleep-wake cycles. Establish a bedtime routine. Taking a bath or reading a book can remind your child that it’s time to relax. Schedule an appointment for a flu shot. Vaccinations are often available before the end of October. While at the doctor, make sure your children are up-to-date on other vaccines. Teach your children to wash their hands often. They should use soap and warm water, and scrub their hands for at least 30 seconds before eating and after using the bathroom. Ask children to cover their mouths when they sneeze or cough, using the inside bend of their arm. This can prevent the spread of germs at home and in the classroom. Aerobic exercise should be of moderate or vigorous intensity. Children need to engage in vigorous activity at least three days a week. Moderate activities include riding a bike, walking the dog or skateboarding, while vigorous activities include running, martial arts and swimming. Muscle-strengthening exercises at least three days per week. Examples include rope climbing, push-ups with the knees on the floor, and playing on playground equipment, such as the swings and crossbars. Bone-strengthening exercises at least three days per week such as skipping rope, running and playing sports. If you have questions about your child’s back-to-school health, contact our Division of General Pediatrics or call 310-825-0867 to make an appointment with a pediatrician.